Kornit Digital has announced the introduction of the Kornit Atlas. Following Kornit’s Storm HD6 and Avalanche HD6 / HDK, the Atlas is the first instance of the company’s next-generation direct-to-garment printing platform, providing garment decorators and screen printers a unique tool for mastering the current and future challenges of the textile supply chain. The Kornit Atlas is a heavy-duty system created for super-industrial garment decoration businesses. It was designed to deliver a typical annual production capacity of up to 350,000 impressions, optimizing production efficiency and cost of ownership. The new printer is aimed at highly productive garment decorators, mid to large size screen printers and innovative businesses looking to combine state-of-the art technology with lowest cost of ownership. The system is equipped with new recirculating print heads and comes with the newly developed ink, NeoPigment Eco-Rapid. The printing engine features an enhanced version of Kornit’s HD technology, complemented by a professional RIP software solution, and produces prints that meet the highest standards of retail quality and durability. The all-new Atlas comes ready for Kornit’s future releases of its cloud-based business intelligence, productivity analytics and optimization software platforms, scheduled to be released in the second half of 2019. It will allow for easy future network connectivity required to support fleet management and optimization of global multi-systems and multi-site enterprises. The new NeoPigment Eco-Rapid ink is a main driver of the Atlas’ retail quality prints. It provides a white ink opacity, matched to those of conventional screen inks, and meets highest durability standards on multiple fabric types. Its increased color gamut and saturation allow for deep full tones and precise spot color matching. The new ink has been developed with sustainability in mind, carries the Oeko-Tex Eco-Passport certification and is GOTS pre-approved. 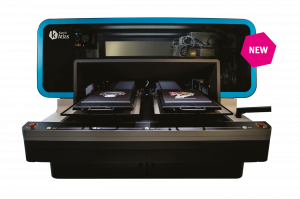 The new Eco-Rapid ink will be integrated with new Storm HD6 and Avalanche HD6/HDK systems and will also be retrofitted to existing Kornit HD systems. Kornit intends to switch all existing HD customers to NeoPigmentTM Eco-Rapid during the year 2019. The system can be viewed in live demonstrations at Kornit Digital’s booth at ISS Long Beach and in all of Kornit’s experience demo centers around the globe shortly after, as well as at Fespa 2019 and ITMA 2019. In addition, the company is planning Open House events to demonstrate the new systems in April in its regional subsidiaries.